When you are craving a big, juicy butter burger you have to have some fries with it. The combination is classic. While the traditional crinkle fries are yummy, personally I crave sweet potato fries. The sweet and salty combination is irresistible. 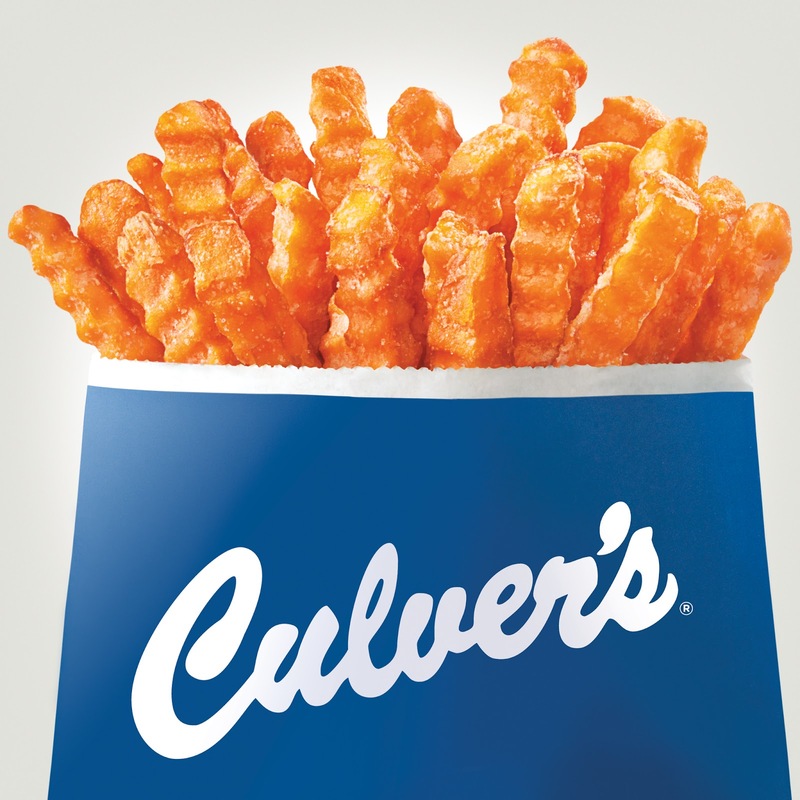 Culver's has introduced crinkle sweet potato fries to its menu. This special menu item is packed with vitamins, fiber and a complete serving of protein. Sweet Potato fries are a great way for kids to try new tastes too. After all, many kids love fries. Now they can try a new version. Sweet Potato fries will be available through November 11. Personally, I love a spicy burger to go with my sweet potato fries. The Colby Jack Pub burger is a great compliment. This fresh, never frozen Midwest raised beef burger is topped with Wisconsin Colby Jack cheese, crispy fried onions, 4-pepper mayo, and a dash of A-1 Steak Sauce served on a Club bun. The heat and sweet make for a delicious meal combination. This special menu item will be available till November 11. To celebrate the new menu additions, the Culver's Facebook page is running a special promotion called Hit the Sweet Spot. Play this exciting game to win up to $500 in this promotion, FREE Sweet Potato Fries and more. Try your luck up to three times daily. 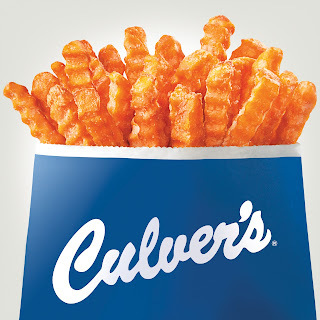 To get everyone excited about the new menu options, Culver's has given me 3 value baskets to give to one of my readers. Please use the Rafflecopter to enter. Disclosure: Culver's provided the prize to giveaway. I was not compensated for this post. My family and I LOVE Culvers! It's our favorite spot to hang out. I haven't tried the Sweet Potatoe froies though. They sound good. Chicken strips and custard would be delicious with that! I'd get a hamburger and a sundae! i would order a salad with french dressing...then onion rings. I love them!!! I get get a single burger. One of their awesome burgers!! I would love to get the Crispy Chicken Sandwich. Thanks so much for hosting this great giveaway! The chicken salad... it's great! I absolutely LOVE the Pot Roast sandwich. I get it every time I am there! I would get chicken strips! I'd have an original Butterburger with the sweet potato fries. i would get chicken strips with this! I would have the Bacon Butterburger Deluxe! I Love their fried Chicken!!! I would have a burger smothered in jalapenos. :-) thank you. Sourdough melt would go perfect with them. I would have a big juicy burger! I would have the North Atlantic Cod sandwich. I really love their Reuben sandwich at Culver's! Their tuna on sourdough is really great...I work just a few blocks from a Culver's! I would have a Butterburger with cheese. I'd have to get the Butterburger.